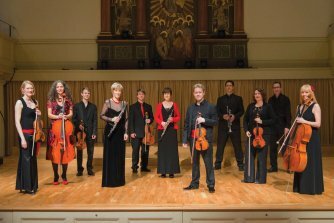 Bristol Ensemble is joined by the extraordinarily talented violinist Gilles Apap and two of Bristol’s leading choirs for this celebration of the music of Mozart. 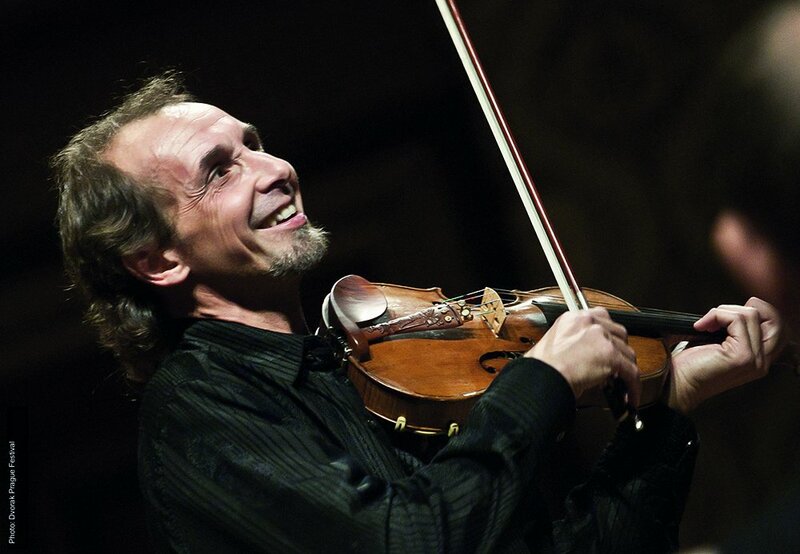 Hailed as a true violinist of the 21st Century by Yehudi Menuhin, Gilles Apap is a classical violinist who has also become widely known for his remarkable ability to integrate a variety of musical genres. In this performance he brings his unique talent to a performance of Mozart’s Violin Concerto No. 5, including a brand new cadenza that he has created. Also joining the Ensemble are singers from the City of Bristol Choir, Exultate Singers and Bristol Youth Choir under the baton of conductor David Ogden to perform one of the most treasured and poignant works of the choral repertoire, Mozart’s Requiem. Children from Bristol Ensemble’s Preludes education project will be performing on the main stage from 6.30 – 7pm. Bristol Ensemble is grateful for the support of Arts Council England. David Ogden is a professional conductor and composer. 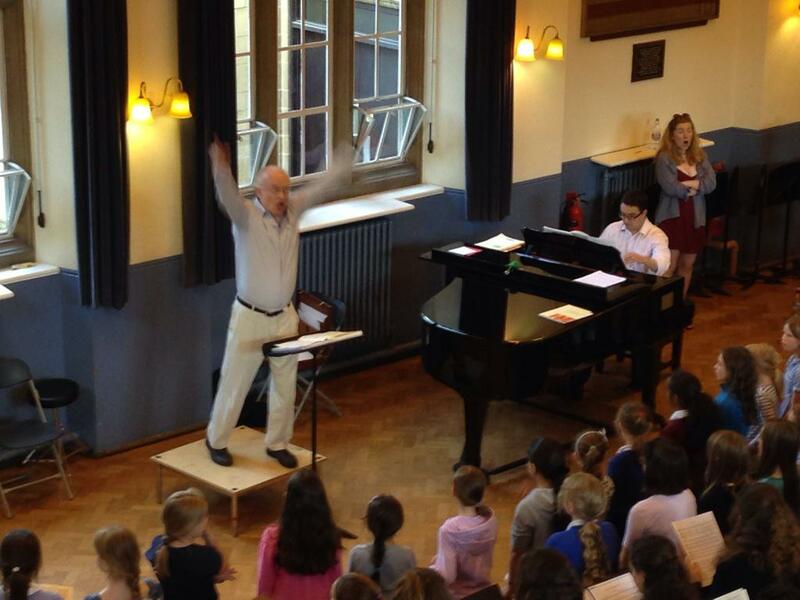 He conducts Exultate Singers, City of Bristol Choir, the Royal Mail Choir and in his post of Head of the Bristol Choral Centre, he conducts the Bristol Schools Chamber Choirs. He is Director of Music at Holy Trinity Church, Westbury-on-Trym in Bristol. 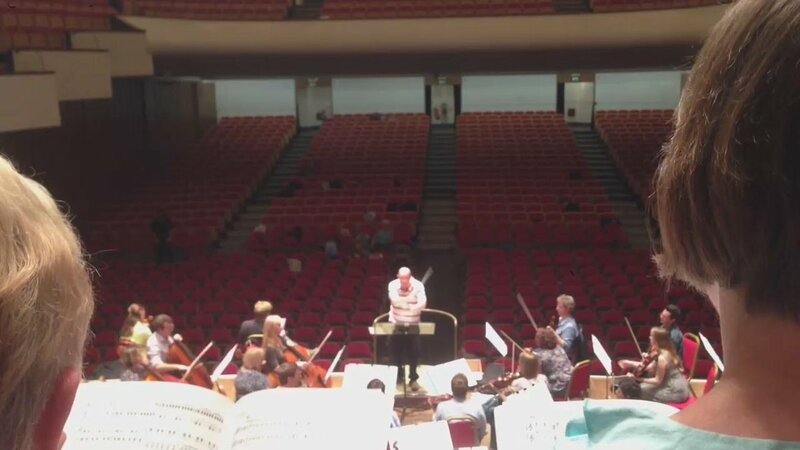 For over 25 years he has worked with numerous professional and amateur groups of all shapes and sizes in many fields of music making, including church music, concerts, musical theatre and opera, community projects, primary and secondary level educational workshops, from small children’s groups to the City of Birmingham Symphony Orchestra. In his work with the BBC he has conducted choirs on BBC Radios 1, 2, 3, 4, 5 and the World Service, and worked as conductor, arranger and music adviser on BBC TV’s Songs of Praise. He is religious music adviser for the BBC’s hit series Call The Midwife, and worked with the Royal Mail Choir in the BBC Two series The Choir: Sing While You Work. His compositions are published by the RSCM and White Light Publishing, and are performed in schools and churches worldwide. 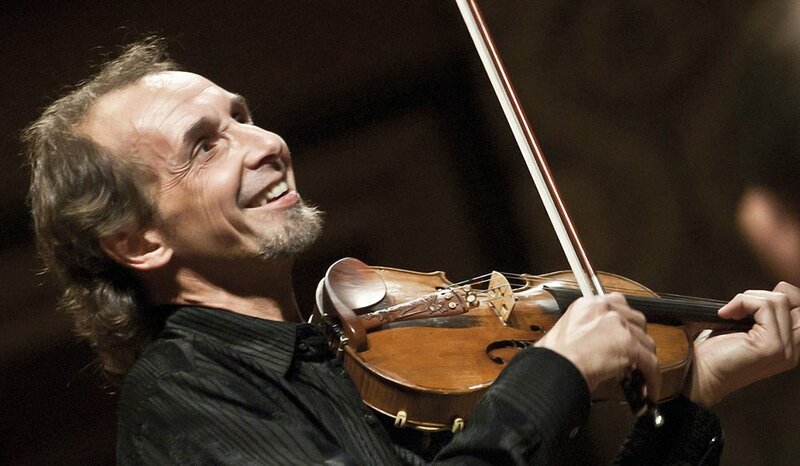 Hailed as a true violinist of the 21st Century by Yehudi Menuhin, Gilles Apap is a classical violinist who is in great demand as a soloist with orchestras around the world. Among many are the Leipzig Gewandhaus Orchestra, Israel Philharmonic, Boston Philharmonic and San Francisco Symphony. He has also become widely known for his extraordinary ability to integrate a variety of musical genres. Gilles not only crosses boundaries, he unites music with his distinct talent for incorporating styles of music as diverse as American oldtime, Irish, and Gypsy fiddling, with the standards of the classical repertoire. Gilles Apap’s talent was recognized by Menuhin in 1985 when he came to the attention of the great violinist and pedagogue by winning the Contemporary Music Prize at the prestigious International Menuhin Competition. He gained the affection of Lord Menuhin, who later invited him to perform in Berlin at the Philharmonie Hall for the Enescu Foundation. This moving performance took place the day after the fall of the Berlin Wall. With his first ensemble, The Transylvanian Mountain Boys (Sony Classical), Gilles shook the classical music scene with his unparalleled interpretations of classical works arranged for violin, viola, guitar and double-bass, interspersed with traditional folk tunes. Having spent the intervening years as a soloist performing in concert halls around the globe, Gilles Apap once again shook the classical music community when in 2006 an excerpt appeared on YouTube showing him playing his unique cadenza to a Mozart violin concerto (from the film “Gilles Apap Plays the Mozart Violin Concerto No.3” , produced by Ideale Audience International). 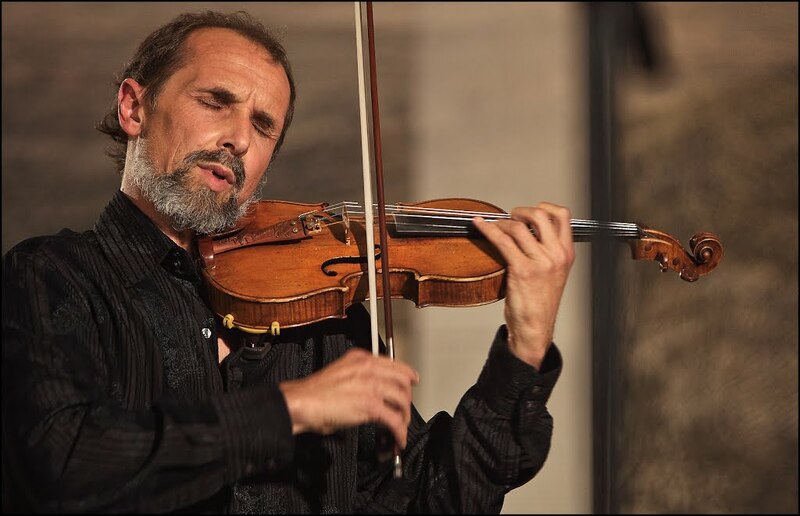 Born in Algeria, Gilles Apap was raised in Nice, France, where his violin studies commenced. He traveled to the United States to attend the Curtis Institute of Music, and chose in 1986 to live in California, where he still resides. He was later appointed Concertmaster of the Santa Barbara Symphony Orchestra and served in that position for over a decade. 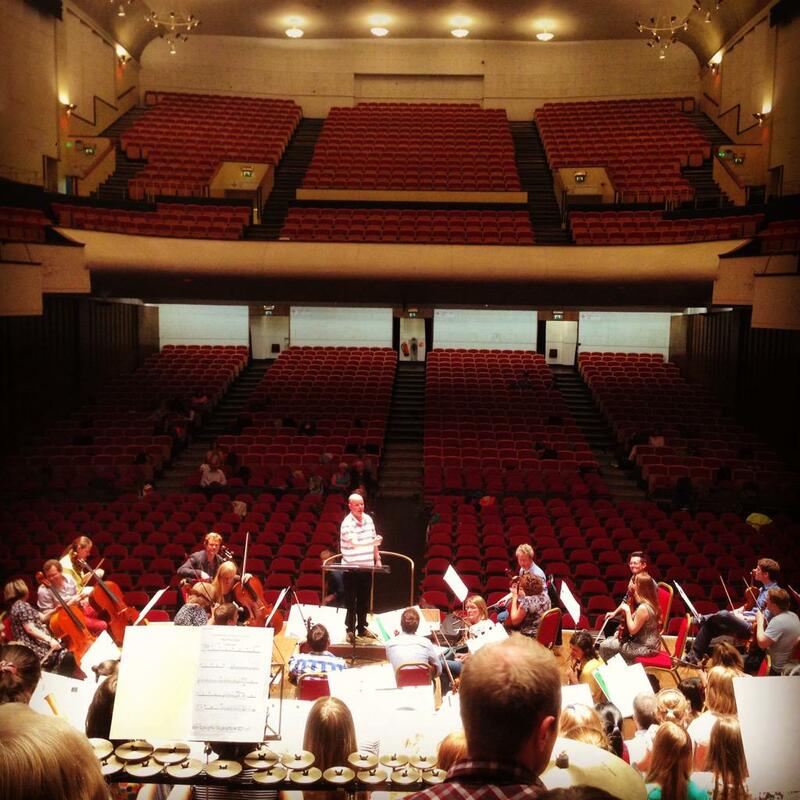 City of Bristol Choir was founded in 1991, and appointed David Ogden as Music Director in 2000. Under his direction the choir enjoys a busy schedule of concerts and events. 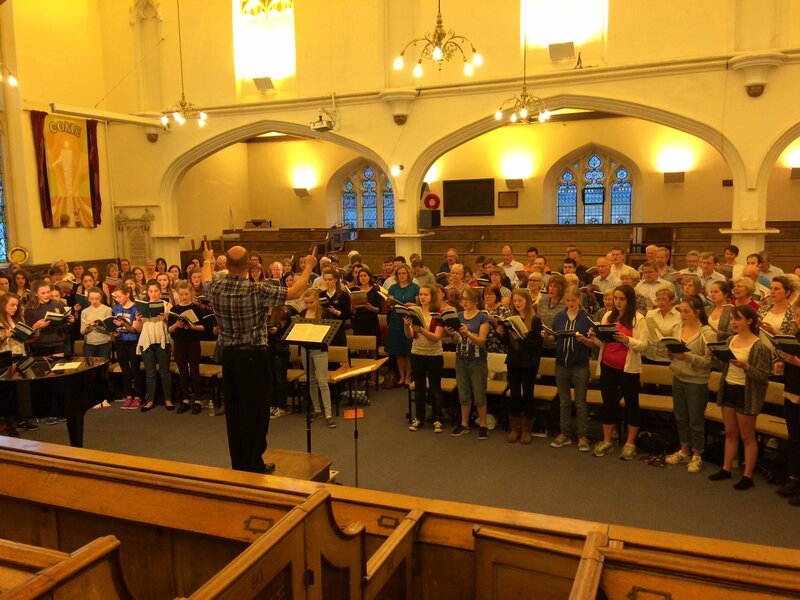 The choir is made up of 90 auditioned adult singers, rehearing regularly throughout the year and giving four or five concerts annually in Bristol and around the South West. Past seasons have included performances of Walton’s Belshazzar’s Feast, Monteverdi’s Vespers of 1610 with His Majesty’s Sagbutts and Cornetts, Britten’s War Requiem, Symanowski’s Stabat Mater, Brahms’ Requiem, Duke Ellington’s Sacred Concert, Fanshawe’s African Sanctus, Mozart’s Requiem and Mass in C Minor and the first performance in Bristol of Howells’ Hymnus Paradisi. City of Bristol Choir has appeared on BBC television’s Songs of Praise and BBC Radio 2’s Sunday Half Hour. The choir has toured Germany, Spain, Portugal and Italy. In Autumn 2013 the choir released its debut CD, Realms of Glory. Exultate Singers was founded in 2002 and has gone on to give over 150 concerts, broadcasts and other appearances in the UK, Spain, Germany, Poland, Italy and the Czech Republic. 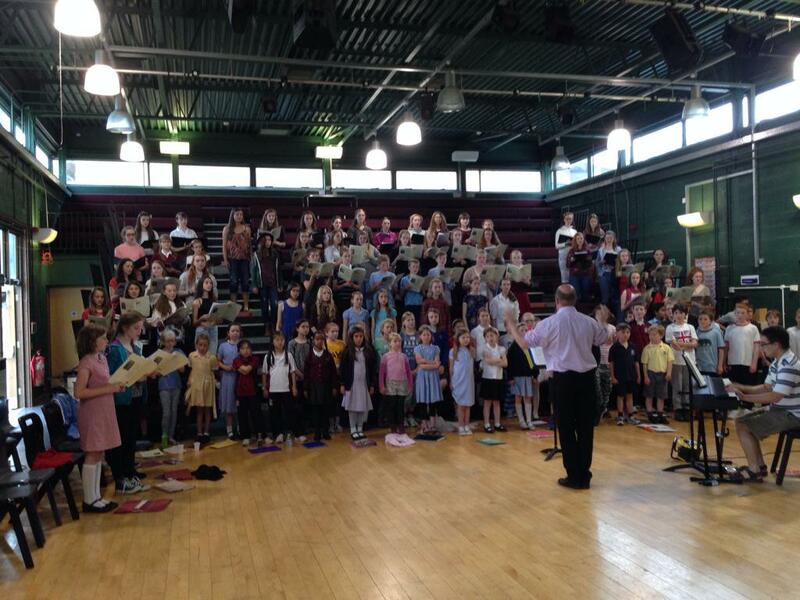 The choir has performed on BBC One’s Songs of Praise and The One Show, on Classic FM and on BBC Radio in broadcasts on Radios 2, 3 and 4 and the World Service. In 2012 Exultate Singers was selected by the BBC to represent the UK in the semi-finals of the European choral competition, Let The Peoples Sing. The choir has commissioned music from Roxanna Panufnik, Philip Moore, Ian Carpenter, Jaakko Mäntyjärvi and James MacMillan. Book Now for the Amazing Gilles Apap UK debut concerts @cadoganhall 18/05 and @Colston_Hall 19/05. It's a little different but very special! Was lovely to hear @bristolchoir last night at @stgeorgesbris having missed them on Saturday at @Colston_Hall. @RoyalMailChoir were fab too!